MagnaFlow Universal Tip - Truck and SUV UNIVERSAL - Lesher Motorsports, Inc. 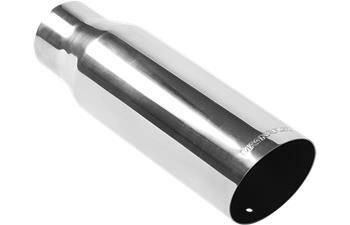 Dress up your ride with one of MagnaFlow’s polished stainless steel tips. MagnaFlow’s Polished Stainless Steel tips will last 5 times longer than chrome tips. These super tough tips will continue to shine for years to come with a lifetime warranty against defects.